Join me in this Challenge and make someone SMILE!! 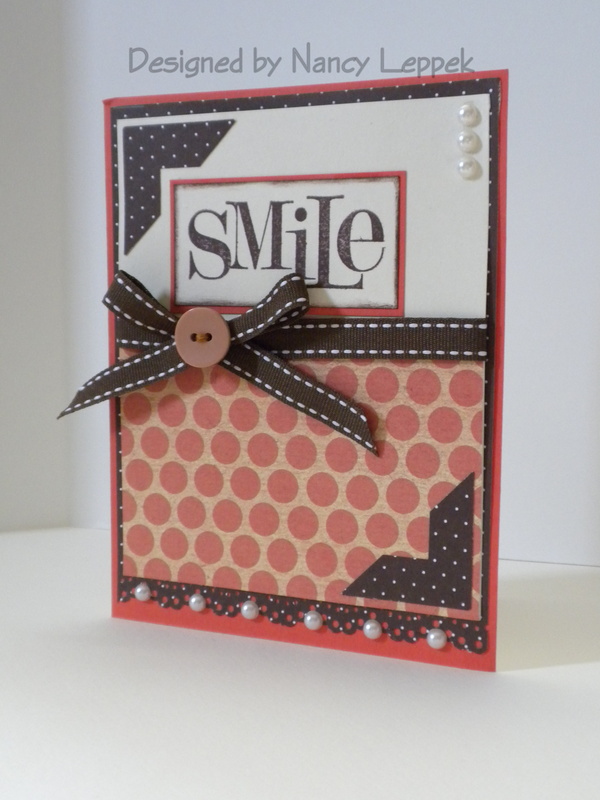 Categories: Cards | Tags: Card making, Cards, encouragement, Gina K designs, Gkd, rubber stamps, Stamp TV, Stamp TV Challenge, stamping, Stamping Up | Permalink. Yes! I DO love that basket! And I love your card! The photo corners are perfect on this card. The ribbon, The pearls, The colors. WELL DONE!